Home Chick Clique 7 Tibetan Restaurants in Delhi-NCR Every Food Lover Needs to Try RN! 7 Tibetan Restaurants in Delhi-NCR Every Food Lover Needs to Try RN! Delhi, how many of you are suckers for momos and thukpas? If you are someone who answered with a yes, then you definitely are in the majority. 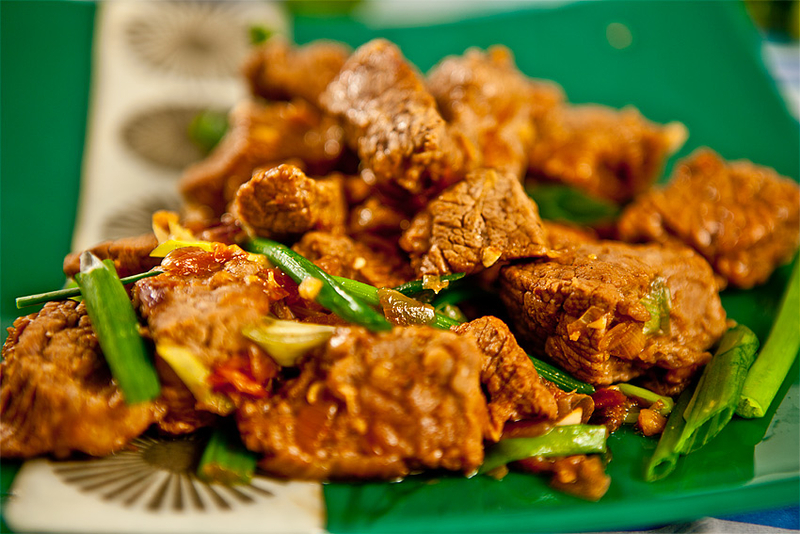 When it comes to the perfect definition of “Food For The Soul”, Tibetan cuisine definitely snatches the prize! Like the place, the dishes are also equally warm and sends a wave of calm within the body with only one bite! Which is why you need to check out these places in Delhi-NCR for the best Tibetan food. One of the most popular Tibetan restaurants in the heart of South Delhi, Yeti, serves a culinary experience that you cannot miss out on! WIth a stunning view of the gorgeous Hauz Khas lake by your side, feat yourself on their super famous Momos and Shaptas. The ambience of this place will totes transport you the beautiful country of Tibet as it reflects the culture of the country with their decor. Majnu Ka Tila is a Tibetan colony tucked away in North Delhi. For those of you who haven’t been here, you are missing out on some lip-smacking food. This cute little colony is a hub to a plethora of restaurants serving some #FoodGoals Tibetan cuisine. Little Tibet serves some of the best Laping noodles you would have ever tasted. It has a very cosy ambience and is extremely cheap on your pocket! Gurgaon waasiyon, if you haven;t tried the food from Ladakhi Kitchen at least once in your lifetime, get ready to experience some major FOMO! Serving some mean Thenthuks and Tibetan Momos, which they are known for all across Delhi-NCR, they also have a Machaan arrangement where you can get and drink any poison of your choice while you stuff your face with food that you cannot get over! P.S. They totally have an Insta-worthy ambience with cute decor. So don’t forget to make your friends a little bit jealous. If we could, we would make momos our staple diet! Do you relate to us as well? Well, if you have been craving for some delish momos, then indulge in some of the softest and juiciest momos at Momo Queen. They have a wide range of variety that they serve in momos starting from the regular steamed and fried to tadka and pan-fried momos. Their best-selling momos is a variant of Kathmandu style momos which you can not try! Our mouths are already drooling! One more food joint that is a must-try in Majnu ka Tila is Ama Restuarant. With beautiful decor and serene cosy corners, plan your next date with your foodie BFF already! Along with the yummilicous Tibetan food that they serve, you must try their refreshing teas and their baked desserts that they are super famous for. Another famous joint in Hauz Khas village that Tibetan cuisine lovers swear by is Lama Kitchen. Their menu has both Tibetan and Nepalese cuisines. Now ain’t that a double whammy? Order their Tibetan yak butter tea, Crisp fried pork, and Thukpa to have an authentic experience of Tibet right here in Delhi. Their gorgeous interiors are just the cherry on top. You can also enjoy the food there with some ice cold beer. If you are in the mood for some relaxing vibe and amaze Tibetan food in Gurgaon, head to Cafe Lungta. Their Nepali Thali and savoury Sandhekos (Nepali salad mixed with meat and noodles) are to die for. They also serve some mind-blowing cocktails, so to all the alcohol and foodie lovers out there, you have hit the jackpot! While we go to grab some Tibetan food for our hangry tummies, start making plans with you foodie buddies!